Vietnamese Coffee is a rich, dark roast that is slowly dripped through a small metal filter. 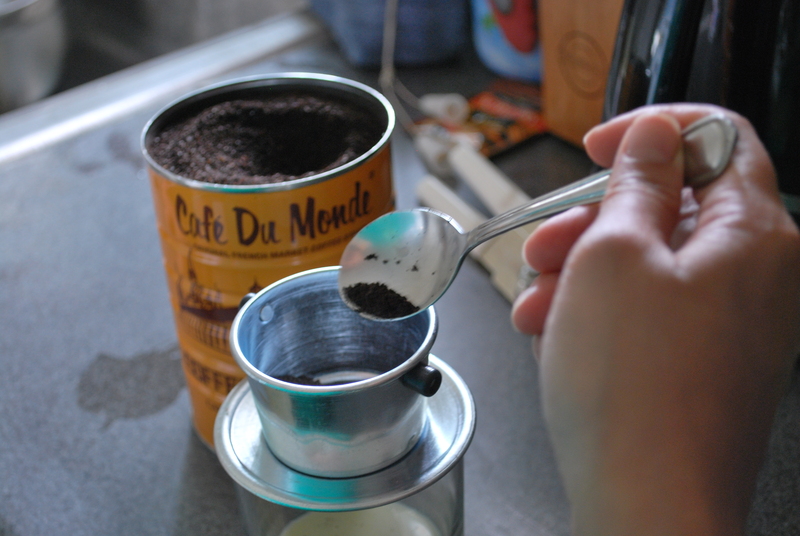 More often than not, the coffee grinds are mixed with a chicory blend that gives the coffee a “woody” flavor profile. With a spoonful of rich condensed milk, it’s called Cà Phê Sữa and without it’s called Cà Phê Đen. 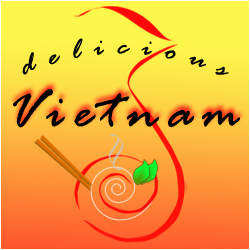 For this month’s Delicious Vietnam, I decided to utilize Cà Phê Sữa to make one of my favorite treats — Sinh Tố or Vietnamese Shake. In Việt Nam, Sinh Tố is usually made with fruits such as pineapples, mangoes, and avocados. 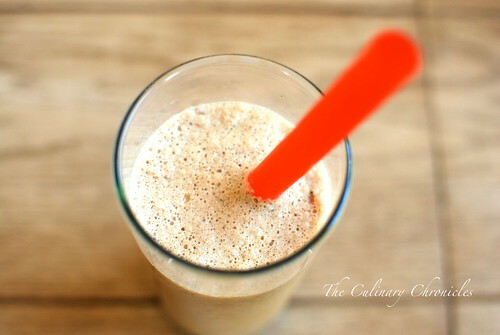 It’s blended with milk, condensed milk, and ice to make a deliciously refreshing treat. But since I’m a major caffeine addict, I thought a Cà Phê flavored Sinh Tố would be the best of both worlds. Instead of milk, I opted for Vanilla Ice Cream. And with the use of slow dripped Vietnamese coffee, this “shake” has a completely different flavor than any coffee shake you’ve ever tasted. It’s all in the chicory! Don’t be surprised if your nearest mega-coffee-shop started offering Sinh Tố Cà Phê! 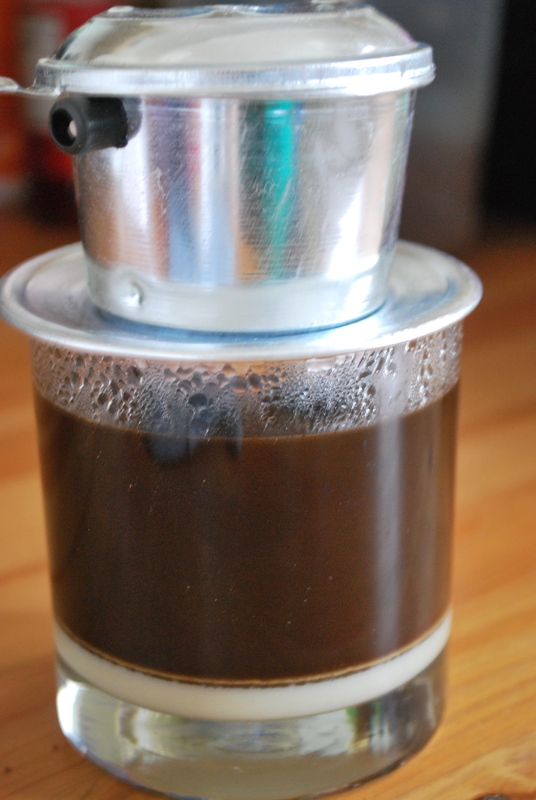 While the Vietnamese Coffee is slightly warm, stir in the condensed milk until it’s combined. Allow the coffee to cool to room temperature. Once cooled, pour coffee mixture into a blender and add ice cream and crushed ice. Pulse/blend the contents until smooth. Second Coconut recipe in one week?! Yes, I admit it…..I have a Coconut addiction. In an attempt to keep up my goal of utilizing my ice cream maker throughout summer, I dabbled with a recipe to bring one of my favorite flavors into gelato form. Loosely basing it off my Mint Chip Gelato adventure, I took toasted coconut, coconut milk, and coconut extract to make this easy and delish gelato. 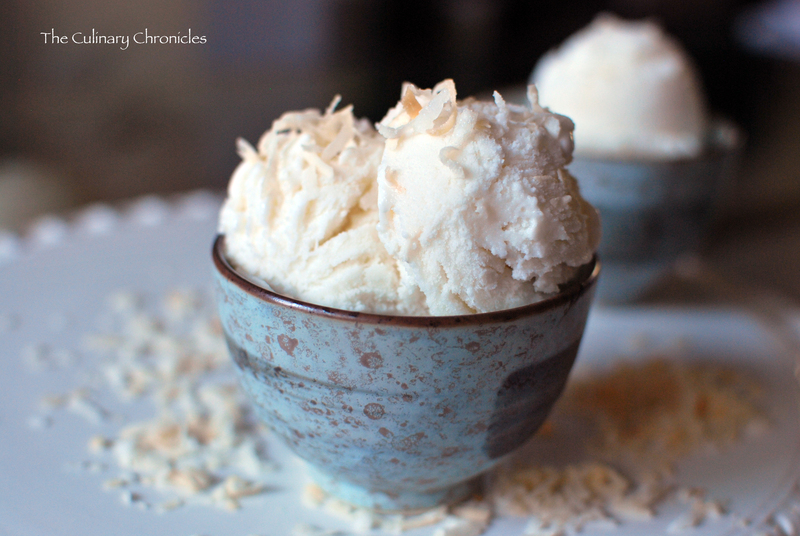 And because of the three forms of coconut that I employed, the end result was truly packed full of coconut flavor. Even though the caramel spin wasn’t as successful, the Toasted Coconut Gelato by itself was delicious and I’ll definitely make it again. Perhaps next time with the addition of fresh young coconut strips? Delish! Until next time Friends, “Coconut Addict” signing off! In a heavy sauce pot, add 2 cups of milk, coconut milk, sugar, and salt. Bring to a low boil on medium low heat. Be careful not to scorch. With the remaining milk, add corn starch to make a slurry. When milk and coconut milk come to a boil, add the slurry and extracts. Cook on low and whisk often so that clumps do not form. The mixture is cooked when you can run a line on the back of a spoon without the mixture coming back together. Cool the mixture to room temperature and then chill in the refrigerator for a minimum of 12 hours. Add the mixture to your ice cream maker and follow the manufacturer’s directions. When half the time has elapsed, slowly add the toasted coconut allowing it to be thoroughly incorporated in the mixture. Transfer to a storage container and freeze until desired firmness. Before serving, allow the gelato to sit on your counter for a few minutes for a better texture and because its easier to scoop. Serve with a sprinkle of toasted coconut flakes. July was National Ice Cream Month! And what better way to compliment the summer heat than with a big old bowl of your favorite ice cream flavor. My favorite flavor? Easy. 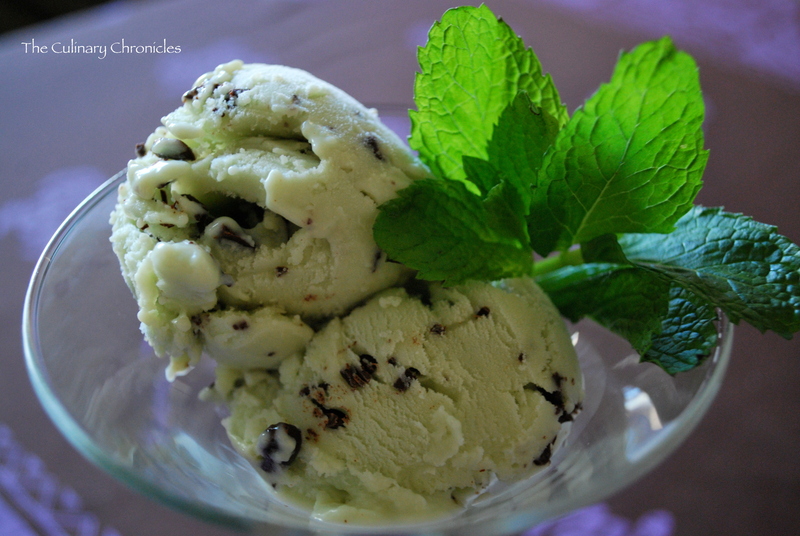 Mint Chocolate Chip—-but not just any variety. This gal requires that her Mint Chocolate Chip not only taste good but have that bright green hue that only food coloring can bring 🙂 It just tastes better….True Story. And although I realize traditional Gelato is different than Ice Cream, I thought that its Italian counterpart would be a great “lighter” alternative to celebrate this fun food month. I was inspired to try out the Mint Chip Gelato from Ravenous Couple as I liked their interpretation from David Lebovitz and Mark Bittman. The recipe was straight and to the point—-and with my lovely Cuisinart Ice Cream/Sorbet Maker, it was a breeze! 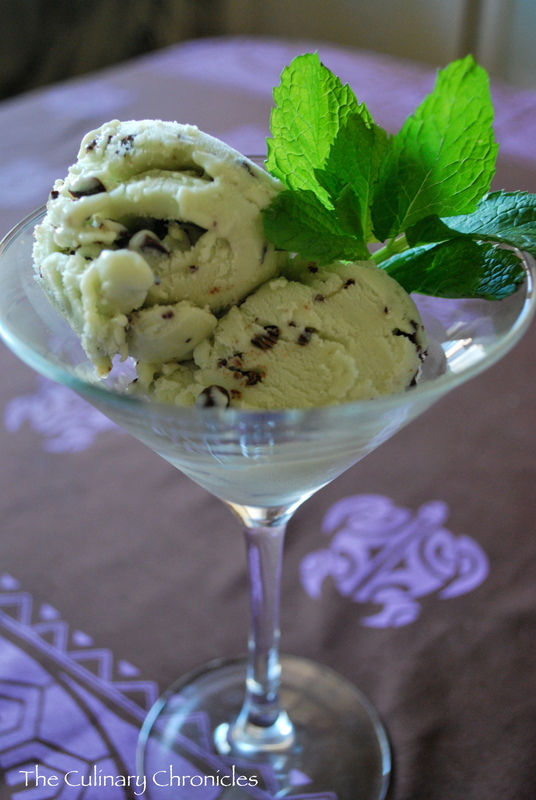 Because I added 1.5 bunches of fresh mint to my base, my gelato was MINT-A-LICIOUS—which was perfect for me. I think the only change I would make next time would be to reduce the cornstarch to 1 Tablespoon as 2 was just a little too much for my liking. And because of the high volume of fresh mint that I used, I was able to achieve a very pretty light green hue. Quite lovely with no food coloring needed. And not only was my end product delicious but I knew exactly EVERYTHING that was in it and could control amounts, etc. No added preservatives or filler ingredients here. Until next time friends, stay COOL (pun intended). Reheat his mixture under medium low heat. When it begins to bubble, add your mixed slurry and stir making sure there are no clumps. Continue to heat until it thickens..when you can run a line on a back of a spoon without the mixture coming together it should be done. Cool completely (preferably over night) and then add to your ice cream maker, follow it’s directions. In the mean time, coarsely chop the chocolate into small pieces and heat over a water bath. When the ice cream maker is done, scribble the melted chocolate onto your cold container–it should freeze almost instantly. Scoop in a layer of ice cream and break up the chocolate. Scribble more chocolate and layer on more ice cream. Continue until done and freeze until firm. Before serving allow to thaw just slightly before scooping.